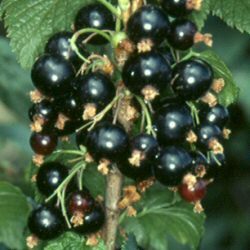 Also referred as European black currant, Blackcurrant, Black currant , Siyah Frenkuzumu , Quincy berries, Gichtbeerblaetter , Grosella Negra, Groseille Noir, Nabar, Huile de Pépins de Cassis, Paper, Ribes Nero, Ribes Nigri Folium and Ribes nigrum, it is a deciduous and branched shrub which requires damp, fertile and well-drained soil. The plant grows up to the height of 1-2 m (3-6.5 ft). It possesses alternate, simple leaves having toothed edged which measures about 2.5-10.5 cm long and 2.5-12 cm broad. 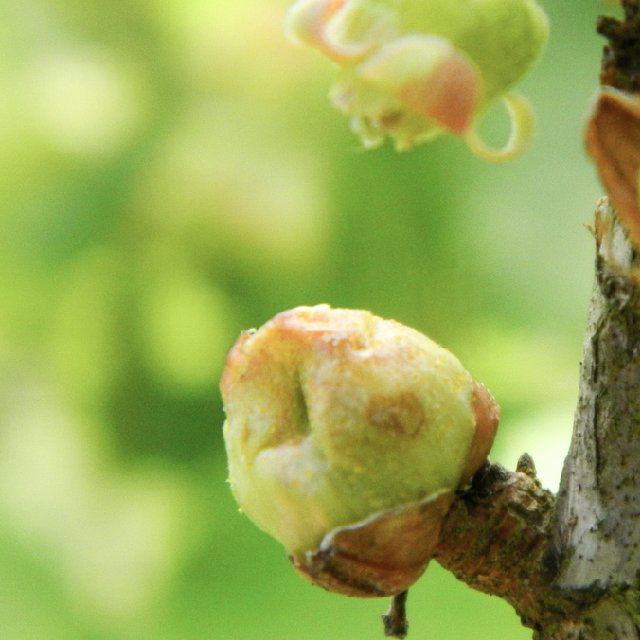 The buds are brown, yellowish, oblong to ovoid to ellipsoid about (3-)4-7 mm in size. It has bisexual flowers and its color ranges from yellow to green of 10-11 mm long. The flower turns into a globe shaped, sparsely glandular fruit measuring 0.8-1(-1.4) cm and 1 cm in diameter. The fruit is aromatic and black in color with smooth peel. It possesses aromatic, strong and tart flavor with sour taste. 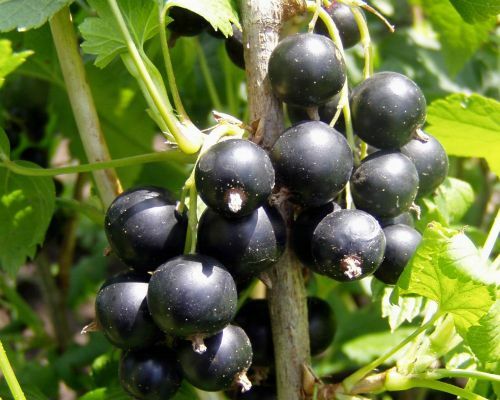 The fruits Blackcurrants have high content of anthocyanins that possess antioxidant activities and provide various health promoting activities. It has high content of antioxidants in comparison to other fruits, vegetables including blueberries. Apart from its taste, it has high content of nutrition. It is a great source of Vitamin C that enhances the ability of the body in absorption of iron. It enhances the immunity power to counteract common diseases such as infection, flu and cold. It promotes the vision health as well as cardiovascular health. Native to Northern Europe and Northern Asia. Blackcurrant was cultivated in 11th century in Russia. 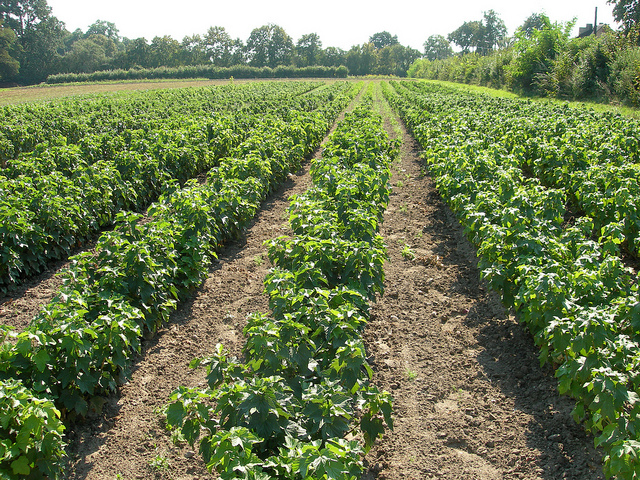 In 17th century, the cultivation of Blackcurrant got started. It was used for medicinal properties. The syrup made with the juice boiled with sugar is used to cure sore throats and lower fevers. The decoction made from bark, leaves and roots is used as traditional remedies. During World War II, United Kingdom used blackcurrant berries as the source of Vitamin. 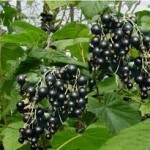 The plants became suitable to grow in the climate of UK, so British Government promoted the cultivation of Blackcurrant plant. 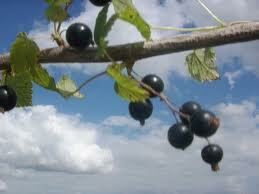 In Britain, about 1400 hectares of Blackcurrant fruits were grown. The consumption of Black currant daily is helpful for maintaining heart health by lowering the chances of cardiovascular problems such as stroke, heart attack and irregular heartbeats. It is due to the presence of flavonoids in Black currants. Additionally, it is a great source of antioxidants that prevents the chances of oxidative damage and lowers the formation of toxic substances on the blood vessels. It smoothens the flow of blood in cardiovascular system. Blackcurrant berry is helpful for the people with high blood pressure. The daily intake of blackcurrant is helpful for lowering high blood pressure due to the presence of potassium which acts as a natural vasodilator that relaxes the blood vessels and smoothens the flow of blood by regulating the pressure of blood. Additionally, the regulation of blood pressure lowers the chances of heart attack or stroke. 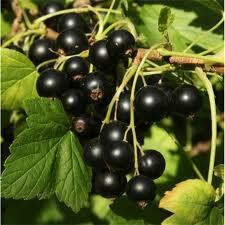 Blackcurrant is a great source of Omega-3 fatty acids that helps to regulate the level of cholesterol in the body. The adequate consumption of black currant helps to lower the level of LDL cholesterol and enhance HDL cholesterol. The excessive presence of LDL cholesterol is harmful for the health as it blocks arteries and blood vessels and increases the chances of cardiovascular problems such as heart stroke, heart attack and irregular heartbeats. 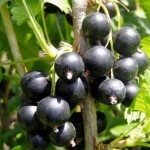 Blackcurrants have anti-carcinogenic properties that lower the chances of cancer development in the body. It has antioxidants such as zeaxanthin, cryptoxanthin, beta carotene and Vitamin C. The antioxidants counteract free radicals and prevent the chances of oxidative damage of body cells and lower the chances of cancer. 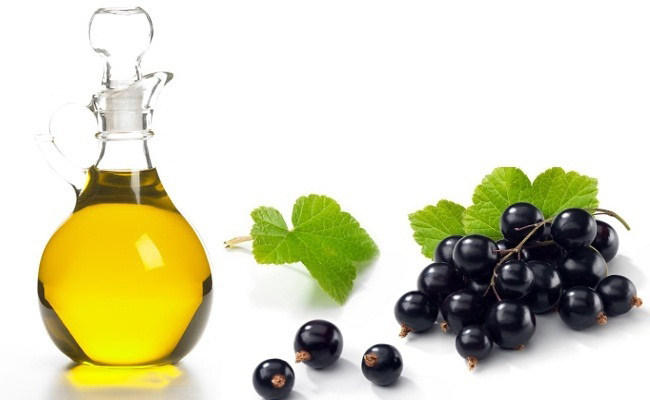 The daily intake of Blackcurrant lowers the chances of cancer and prevents the cells from oxidative damage. 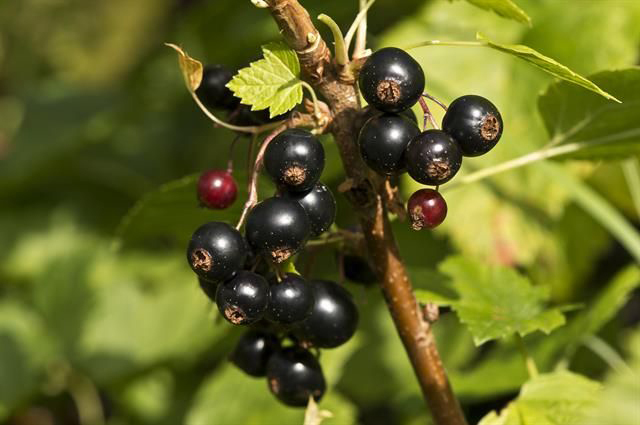 Blackcurrants helps to make the immune system strong and prevents the chances of infections which is possible due to the presence of Vitamin C which acts as antioxidant that counteracts free radicals that exist in the body and prevents the chances of oxidative damage to the body cells. It lowers the chances of getting fever, cold and infections. The daily intake of Black currant helps to lower the chances of bacterial infections such as urinary tract infection due to the presence of chemical compounds such as anthocyanin and tannin. It prevents the growth of bacteria in urinary tract and lowers the risk of infection. 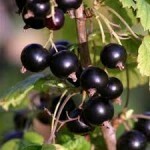 Blackcurrant is vital for maintaining brain health. The daily consumption of Blackcurrant sharpens memory and enhances the supply of oxygen to the brain. 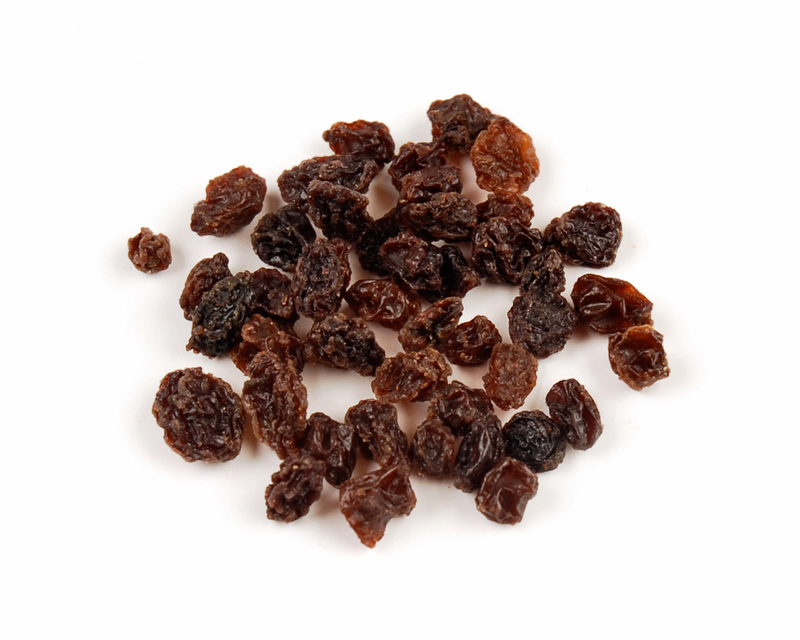 It is due to the presence of antioxidants and iron. It enhances the oxygen supply to the brain and nerve cells and assists its function. It counteracts free radicals and prevents oxidative damage to brain. It lowers the chances of neurodegenerative diseases such as Parkinson’s disease and Alzheimer’s disease. Blackcurrant is helpful for lowering the chances of anemia and providing relief from it. It is due to the presence of iron. It assist in formation of red blood cells and promotes oxygenated blood to reach in every part of the body and also lowers the chances of anemia. 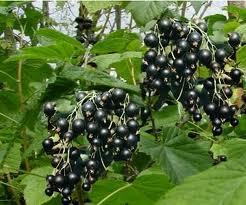 Additionally, blackcurrant has copper that is vital for the formation of new blood cells. The common symptoms of anemia are weakness, general fatigue, dizziness, tongue swelling, pale skin, irregular heart beat and headache. It is a great source of antioxidants and compounds such as phytonutrients, anthocyanin and tannins. It prevents the chances of gastrointestinal and cardiovascular inflammation. 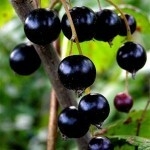 The consumption of black currants regularly helps to maintain eye health. Blackcurrants are the great source of antioxidants such as Vitamin C that counteracts free radicals from the body and prevents oxidative damage to eyes. It lowers the chances of eye problems such as cataracts and macular degeneration. Additionally, it plays a vital role in maintaining eye health as it improves the eyesight and lowers the chances of vision loss. 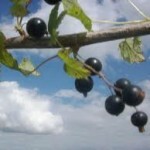 It is really an earlier assortment of black currant, creating 4 or 5 days sooner than Ben Lomond in the United Kingdom. It really is regarded as a very high producing variety in the UK and also displays even as well as standard maturing. It’s got big, deep black berries (187 Connan berries vs. 206 Lomond berries/250 grams fruit) having a enjoyable acid/sweet taste. Its small development habit causes it to be ideal for mechanized fruit harvesting, U-pick farms and also the home garden market. The Ben Connan variety is ideal for fresh consuming, jams, preserves and also canning yet has to be well harvested and also ripened to find the best sweetness. This particular variety is actually not preferably suited to juice manufacturing. Whilst not totally resistant against White Pine Blister Rust, this particular variety has got relativity lower levels of an infection. The Ben Tirran is really a higher producing, late cultivar along with smaller berries having a pleasurable taste. 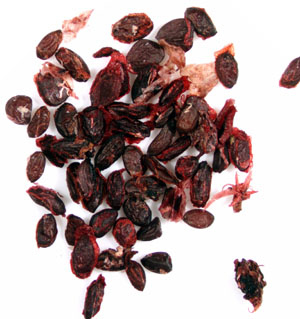 The Ben Tirran is recognized as a fantastic berry for juicing. It flowers just a little after various other Ben series black currants therefore it has sensible ability to tolerate spring frosts. Growth habit is vertical and also energetic. Fruit is acceptable both for juice as well as jams, for industrial and also u-pick functions, and home gardens. The Ben Tirran is fairly prone to White Pine Blister Rust but has good resistance to mold. 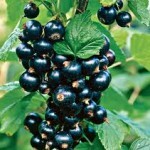 The Ben Nevis, black currant variety, is really a “sister seedling” of Ben Lomond. This particular choice is really a effective, mid-season currant along with huge, firm berries. It’s got great frost tolerance without any indications of overwintering issues within the Edmonton area. 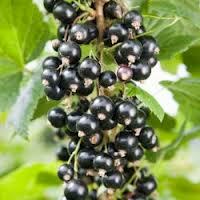 This specific selection of black currant is resistant against mold and also generates moderate size fruit. This particular choice of black currant is recognized as great for juicing, due to its higher amounts of anthocyins, high vitamin C content and high colour balance additionally the medium-size berries create juice with great colour. Since this variety is late to flower, it might help in the prevention of late spring frosts. The tiny size of the Ben Alder berries plays a role in a higher per cent age of anti-oxidants. Plants display energetic development as well as the growth habit is vertical that allows for easy mechanical cropping. This particular black currant variety is usually a mid-season cultivar along with huge firm berries. The Ben Sarek is really a considerably small semi-dwarf shrub having an average height of 3 ft that makes it ideal for u-pick and home gardens and usually not utilized in operations which use mechanical harvesters. Fruit is created roughly 7 days sooner than Ben Lomond. With regards to White Pine Blister Rust, even though Ben Sarek features a “fair resistance” it really is usually not regarded as a tolerant variety. 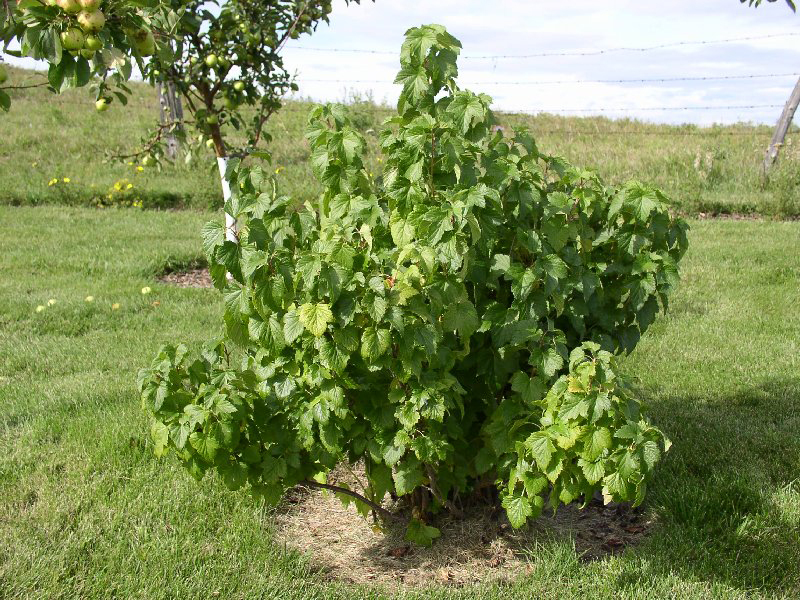 The Ben Hope is actually an excellent producing black currant variety, which is energetic and also taller, developed in the Scottish Crop Research Institute. According to wind conditions, the Ben Hope may need a protected site. Regarded as by many people to be the very best tasting fruit of all our types, it displays excellent resistant against the foliar illnesses and it has an excellent ability to resist both mildew and also leaf spot. In PEI this particular variety appears extremely prone to a number of White Pine Blister Rust that totally protects the crop and also decreases future yields. The Ben Hope blossoms 2 days right after Ben Lomond and may generally be gathered 10 days after the Ben Lomond variety. Ben Hope yields are regularly high. They generate medium-sized berry with higher physical attributes and also the fruit is suitable for industrial production. 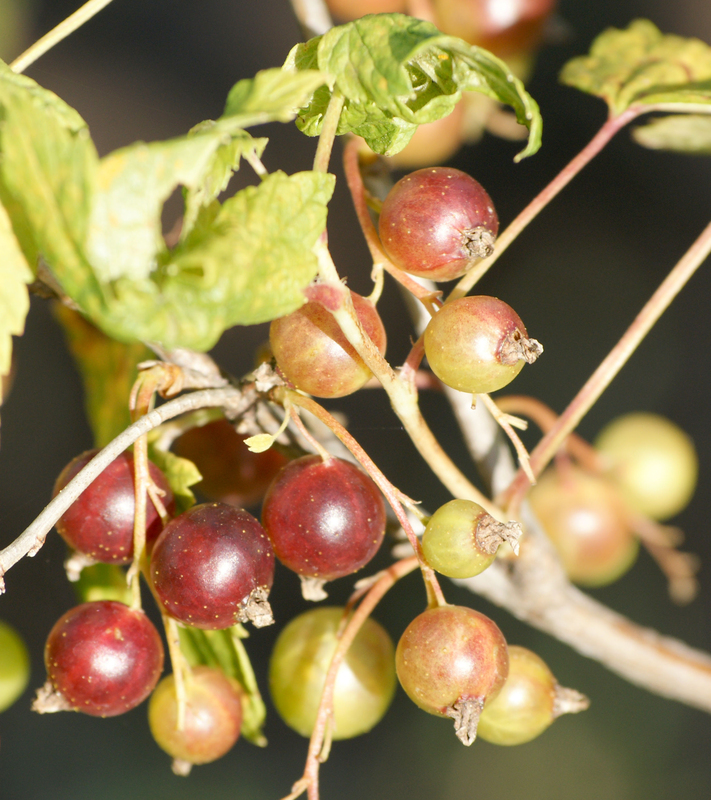 The consort black currant is definitely an earlier mid-season variety which is regarded as being just fair in productivity. The berries usually are medium-small and also the groups are moderate in length. Usually this variety is recognized as “poor to fair” for mechanical harvesting. Plants are prone to leaf spot and intensely vulnerable to mildew, yet resistant against white pine blister rust. This particular variety is recognized as of value in the growing area exactly where resistance to rust is needed. Titania is distinguishable from other types when it comes to achieving maturation in 3 seasons along with excellent disease resistance. Even though this variety does offer much better resistance to White Pine Blister Rust, both a Danish study as well as an OACC study has discovered WPBR on Titania plants. The Titania does have excellent resistance to mildew. This particular variety is recognized for constant cropping and also generates big firm berries which have an excellent mild taste that is great for processing and also reasonably higher juice quality. Plants are very energetic along with ripening as well as flowering being nearly the same as Ben Lomond. Tiben is renowned for its higher yield, higher amounts of anthocyanins and also vitamin C along with its even maturing, vertical development as well as resistance to mildew. It really is considered to be fairly resistant against White Pine Blister Rust in Poland. In comparative yield research it was demonstrated that Tiben recorded greater yields as compared to ‘Ben Lomond’ (both medium-late). ‘Tiben’ (‘Titania’ × ‘Ben Nevis’) additionally had powerful development along with a potential to deal with powdery mildew [Sphaerotheca mors-uvae] much like ‘Titania’. Tisel is renowned for its outstanding higher yields, even ripening, extremely high amounts of vitamin C. Additionally it is described as an extremely enjoyable fresh taste. It ripens relatively sooner than Titania and two weeks sooner than Tiben. This particular variety of black currant is resistant against mildew as well as safe from White Pine Blister Rust. It possesses diaphoretic and diuretic properties. It is used to treat flu and colds. The juice is used to treat indigestion and diarrhea. It is used to lower blood pressure. 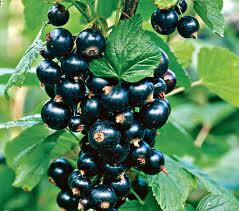 The infusion made from black currant is used to treat rheumatic pain, dropsy and whooping cough. It is used as a gargle for mouth ulcers and sore throats. The infusion made from leaves is used to increase secretion of cortisol. The young root infusion is useful for eruptive fevers. The decoction made from bark is used to treat dropsy, calculus and haemorrhoidal tumors. In Austria, it is used to treat infections of gastrointestinal tract, cardiovascular system and respiratory tracts. It is used to treat flu, colds and also calms diarrhea. The leaves are used to lower blood pressure and treat inflammation and arthritic pain. 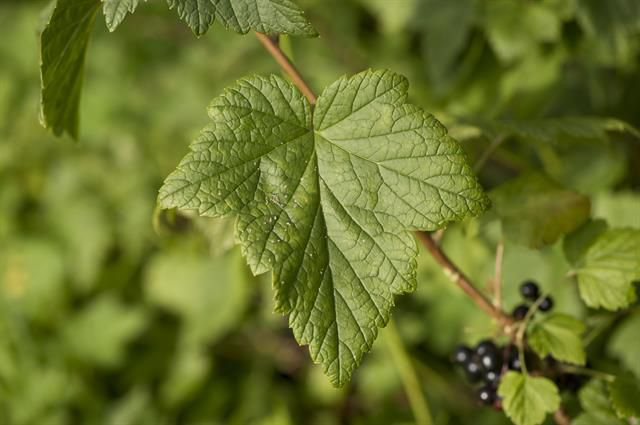 The gargle made from black currant leaves are used to treat canker sores and sore throats. It is used to treat eczema, menstrual swelling and other skin conditions. The dried leaf is effective for the treatment of joint pain, gout, arthritis, colic, diarrhea, liver ailments, hepatitis and convulsions. It is useful for treating liver problems such as hepatitis and jaundice. It is a cure for skin ailments such as eczema, dermatosis, insect bites and abscess. It might slow down the clotting of blood. It increases the chances of bruising and bleeding in the patients with bleeding disorders. Do not take it before two weeks of scheduled surgery. Swelling, hives, rashes, tightness in chest, throat, itching, chest pains and difficulty in breathing might be experienced. It is used to prepare jellies, jams and juices. It is also added to desserts and baked goods and also used as an accompaniment to meat dishes. 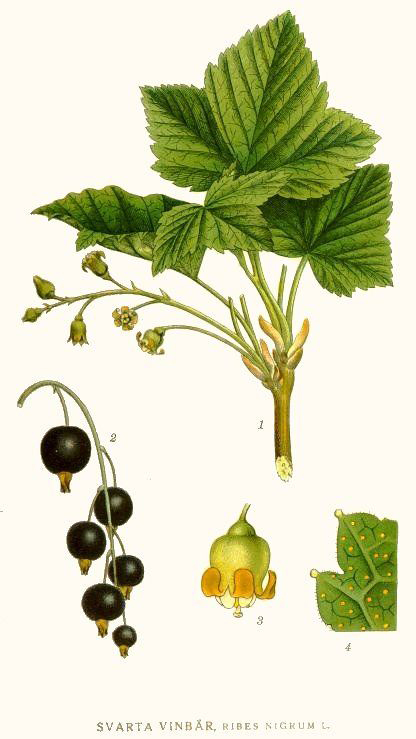 Blackcurrants are used for making liqueur named crème de cassis. It could be consumed raw. It is used to make preserves. It is included in yogurt, desserts, cheesecakes, ice cream, sweet dishes and sorbets. 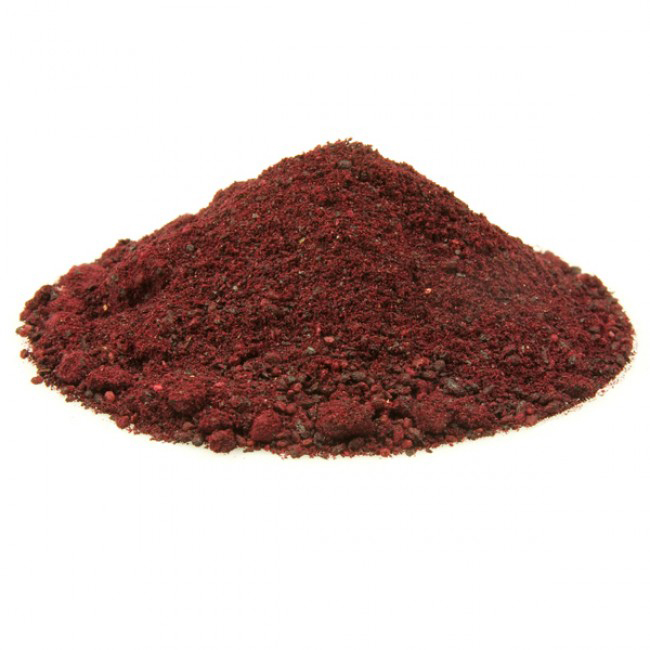 It is used for savory cooking and add flavor to meat, sauces and other dishes. It could be added to mint and tomato for making salad. It is added to alcoholic beverages. It is added to smoothies as well. It is used to bake pies and to add flavor to ice cream, pavlova, shortbrad and yogurt. It is added to cereals and muffins. It is used to add flavor for drinks. Due to high content of nutrition and less popularity it is called forgotten fruit. Though it has strong and tart flavor, it could be consumed raw. It contains four times more Vitamin C in comparison to oranges. It is used as a vital ingredient in cosmetics. It could lower the appearance of dark circles under tired eyes. The presence of polyphenols in Blackcurrants helps to enhance the circulation of blood. 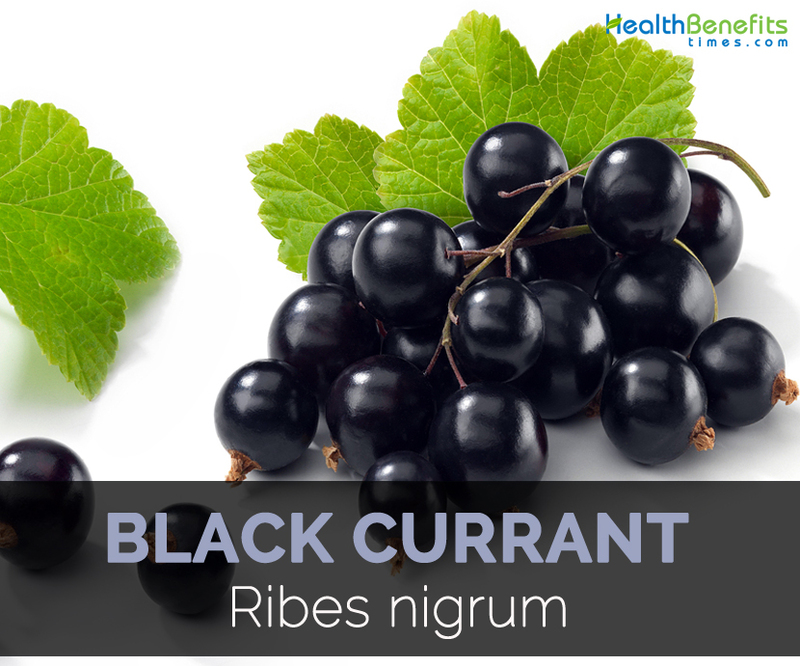 Black currant is helpful for treating various ailments that is possessed with various vitamins. Besides its healing and therapeutic uses, it is used to make jellies, jams that provides sweet flavor. It is used as toppings for desserts and used as a dips or sauces. It is used to make ice cream, cordial, liquor and juice. 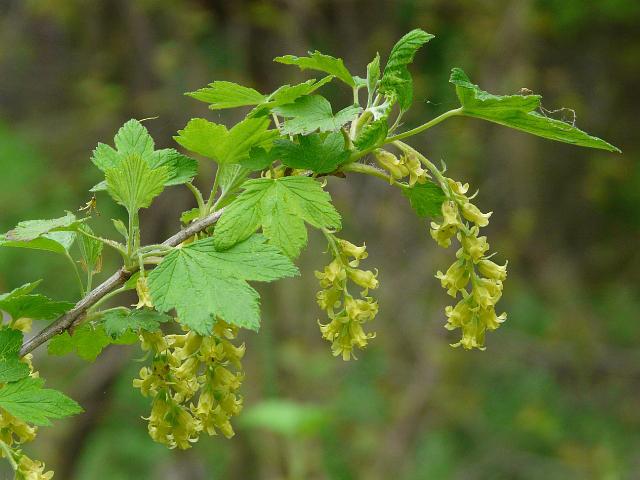 Scientific Name: Ribes nigrum L.